Northern Europe – Wreck Divers Paradise. I know this title might surprise a few of you and it is of course an opinion, although not only mine, but Northern European divers have been wreck enthusiasts for decades. Whilst it is not a secret amongst local divers there are relatively few dive tourists. Why? Well, square profiles, short no decompression limits, dives beyond 40m and no dive guides are some of the reasons. Now that PADI TecRec is introducing Technical diving to the global community this may well change. Although some wrecks are suitable for beginners, TecRec divers will really get the most out of a trip to dive the wrecks of Scapa Flow, Jutland or Normandy. Your boat might be less glamorous than tropical dive boats and have fewer staff but the maximum number of divers is usually 10-12 and you’re probably the only boat at the site. Dives are timed to enjoy the tidal slack which is when the dive conditions are best. It lasts 30-60 minutes on average so when you jump in there’s no hanging about. You make contact with the descent line, confirm the team is ready and GO. Swimming down a line, descending into the abyss, the excitement mounts. Eventually the wreck looms into view. It may be dark but visibility ranges from 5m – 25m under normal conditions. The cold water means that wrecks are often intact with huge guns and large boilers. Damaged areas explain how they sank and allow access to cabins, engine rooms and holds. The decks are covered in schools of fish and the light beams of the other divers are visible in the distance and add to the atmosphere of mystery. Large crustaceans and conger eels lurk in every crevice whilst nudibranchs and anemones carpet the surfaces. Although it’s a little dark a torch brings out the colourful scales of the wrasse and parrotfish. Suddenly the atmosphere changes! The fish dart and whirl and everything comes over dark. A school of tuna whiz through the wreck on the hunt –fish swim for cover and the unlucky stragglers are picked off. It happens so quickly that you almost miss it and once it’s over the fish cautiously return to the open and calm is restored. The decks and holds often have the remnants of cargos such as glass and china or personal items from ships sunk during conflicts and wars. Sometimes the wreck is unknown and there is the chance of being the person who “discovers” something to identify it. It is illegal to take anything in most areas but great fun to enjoy being surrounded by history and every diver dreams of finding a bell. 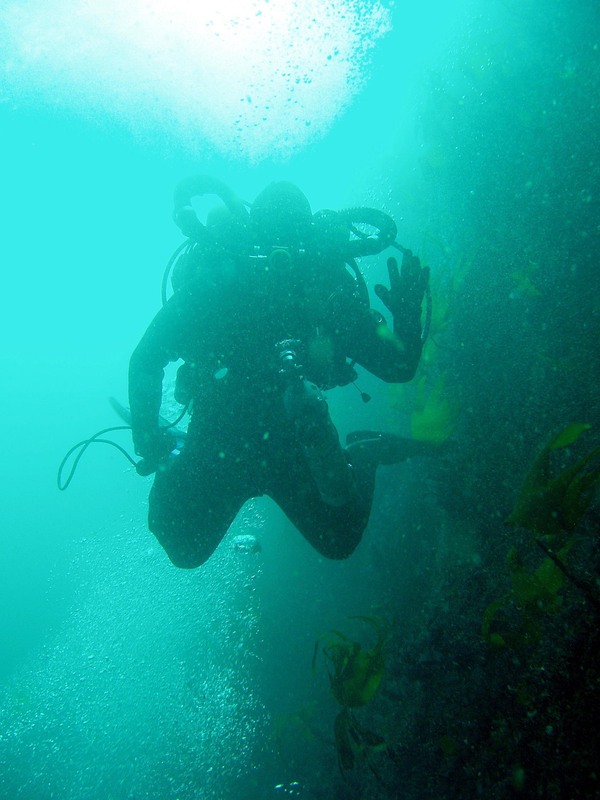 For wreck penetration qualified divers there are often holds, cabins and passages to explore. Proper training is essential and many TecRec instructors have written Advanced Wreck Distinctive Specialties to train you to make this type of dive. The reward is visiting areas of these wrecks that very few divers ever see; coming face to face with a seal deep inside a wreck at Scapa Flow is one of my best diving memories! All too soon it’s time to ascend so you send up a Delayed SMB so that the dive boat can see you whilst you complete your planned decompression. Back on the boat there is hot chocolate to warm you up, a couple of biscuits and plenty of banter as the divers swap tales of just HOW big those Tuna were! Whilst I enjoy tropical wreck diving, for me, nothing can beat the excitement of coldwater diving. If the more difficult conditions and lack of a sun deck sounds awful there are plenty of great tropical wreck diving locations but if Northern European wreck diving sounds as exciting to you as it does to me then PADI TecRec courses could open up a whole new world of adrenaline filled diving!